A quick post on somewhere that is mainly on here just because it's in my neighbourhood. I have been going through varying levels of snobbiness/fussiness for what should be on here and what shouldn't recently. Certainly, it's a positive thing that we can now be fussy about craft beer places. When I moved here five years ago there wasn't so much opportunity to be picky. Now we have a vast array of places serving craft beer. I wouldn't necessarily say that this has meant that we have a huge amount of great places though. Maybe we have all become pickier or maybe it's due to a lot of the new places that have opened being a convenient way of making some quick cash rather than a labour of love. All of which is a meandering way of saying I am trying to be a bit pickier about what gets on here. 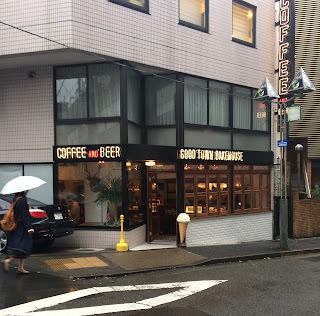 Certainly, Good Town Bakehouse is not the greatest beer place in the world that you have been dreaming about, so I am immediately contradicting myself, I guess. It does however have a few selling points which are the reason I have added it. Firstly, it's open during the day and secondly they have no cover charge. Oh, and it's near my house, but maybe that one works better for me than for you. Anyway, here are the things you need to know. 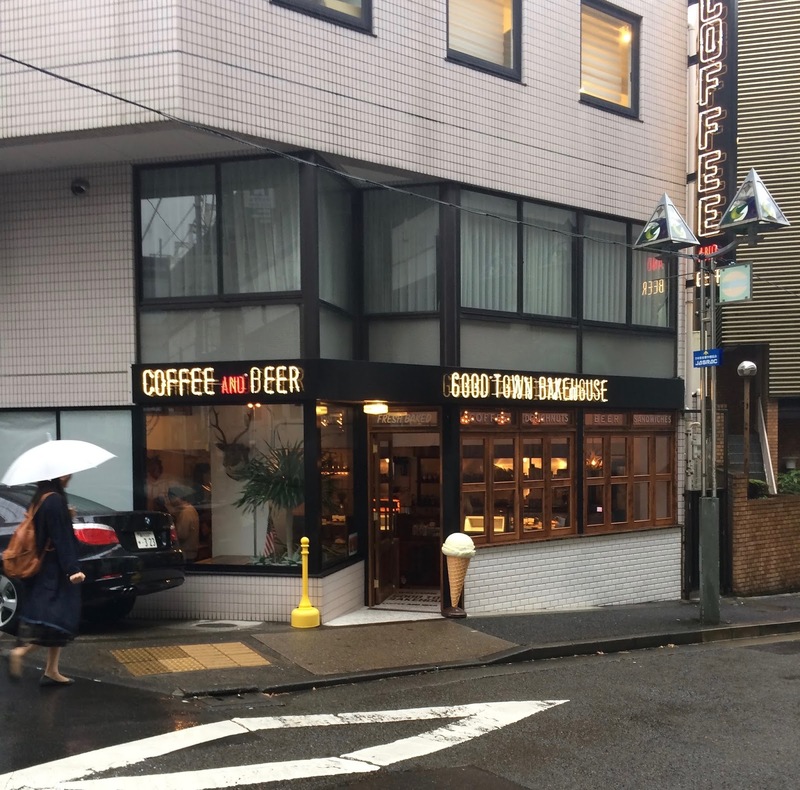 - Fancy looking US cafe/diner type place that focuses on coffee, sandwiches, baked goods and beer. I have had their grilled cheese sandwich twice now as I liked it a lot. Counter seating five, a big communal table for ten, smaller tables for about the same and a sofa too. - Five taps of 'craft beer' including the non-craft Brooklyn Lager (now brewed in Japan by Kirin I believe) three taps of Sankt Gallen and one of Hitachino Nest White Ale. Rotation every six months (! ), so this isn't somewhere to go for new beers. All served in three sizes, the smallest being a dimpled mug that looked like it was about 300ml, then US pint and UK pint. All beers priced the same at ¥700, ¥1050 and ¥1300 respectively. Tax included and no cover charge, so you pay exactly the prices above. - Daytime opening, so another place where you could have a morning beer if you wanted. Daytime opening is always a big plus for me. So that's about it. It's not going to set the world alight, but it's a pleasant place to get a sandwich and have a quick beer when most people are working (although maybe they aren't in Uehara).